February is national Heart Health Month, and you can’t discuss heart healthy eating without discussing the benefits associated with the Mediterranean diet. 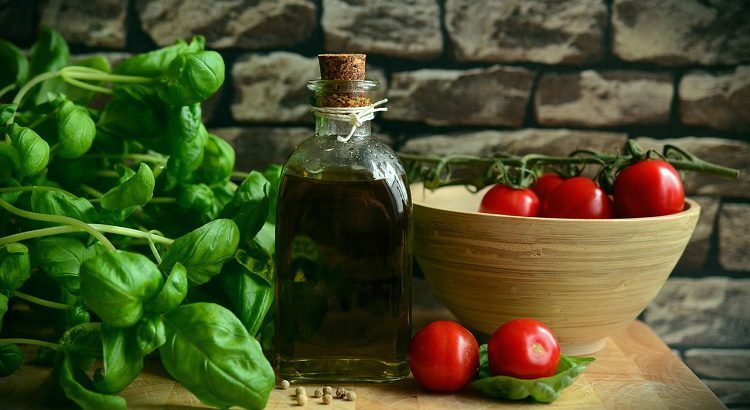 The Mediterranean diet is the traditional style of cooking seen in countries that border the Mediterranean Sea and is abundant in foods that are readily available in the area. Research has shown that the traditional Mediterranean diet reduces the risk of heart disease by lowering low-density lipoprotein (LDL) cholesterol — the “bad” cholesterol that is more likely to build up in your arteries. The Mediterranean diet has also been associated with a reduced incidence of cancer, Parkinson’s and Alzheimer’s diseases. Adapting to a style of eating like that of the Mediterranean diet may help prevent some major chronic diseases. Like any healthy diet, the Mediterranean diet encourages the consumption of fruits, vegetables, fish, whole grains and limits trans-fats and processed foods. Many Greeks eat an average of nine servings of fruits and vegetables a day. Unfortunately, less than 12 percent of Americans consume the recommended 1 ½ to 2 cups of fruit and 2 to 3 cups vegetables a day. Nuts are good sources of fiber and healthier mono-unsaturated fats. Olive oil, particularly extra-virgin and virgin olive oil, is also a mono-unsaturated fat. Nuts and fish are high in Omega-3 fats and have cardio-protective effects by decreasing blood pressure, lowering triglyceride levels and decreasing clot formation in the blood vessels. Another staple of the Mediterranean diet is red wine, which is recommended to be consumed in moderation. Red wine contains resveratrol, a compound that some plants produce to fight off bacteria and fungi and to protect against ultraviolet (UV) irradiation. The resveratrol in wine comes from the skins of red grapes, but is also found in blueberries, cranberries and peanuts. The United States Dietary Guidelines 2015 to 2020 define moderate drinking as: “Up to one drink per day for women, and up to two drinks per day for men, and only by adults of legal drinking age.” Alcohol consumption should always be discussed with your doctor first. Check back each Wednesday throughout February for recipes inspired by the Mediterranean diet. Registered dietitian Barb Walsh is the community nutrition educator in the Tevis Center for Wellness.